6 port distributor with a 1.5" slip socket on one side and six 1/2" slip sockets on the others. Use as a distribution or collection system. Others sizes available, see this page. 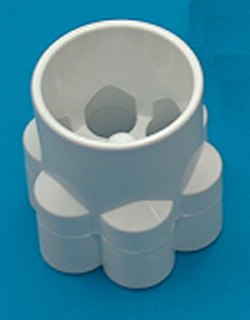 Has center cone to provide uniform distribution to the 1/2" ports.